We spend a lot of time working at our desks here at Cellardoor, so we thought it was about time we jazzed them up a little with a fun D.I.Y to keep our stationary mess under control. Measure the length of your tin and mark it on your wrapping paper. 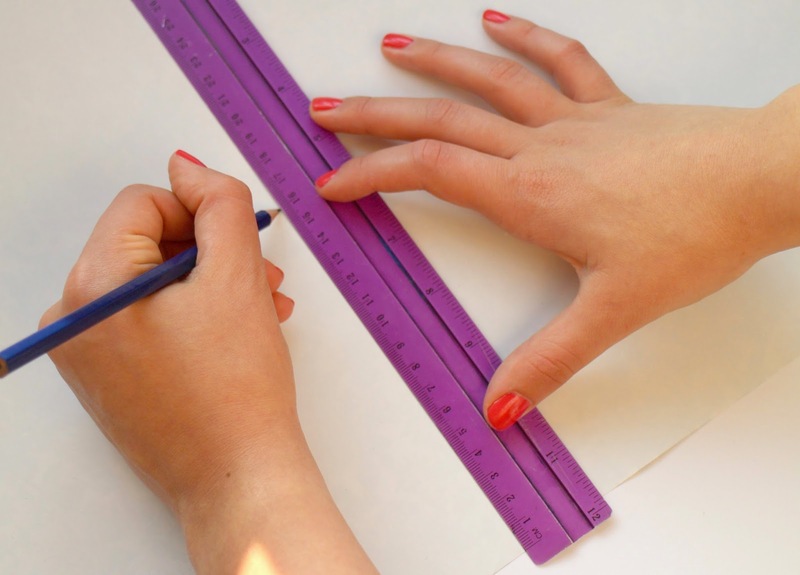 Mark a few lengths across the paper, marking with dots and join with a ruler and pencil. This helps to get a perfect straight line. Draw a line from the top to the bottom edge of the paper, this will create the rectangle that you’ll cover your tin with. Then cut out the rectangle. 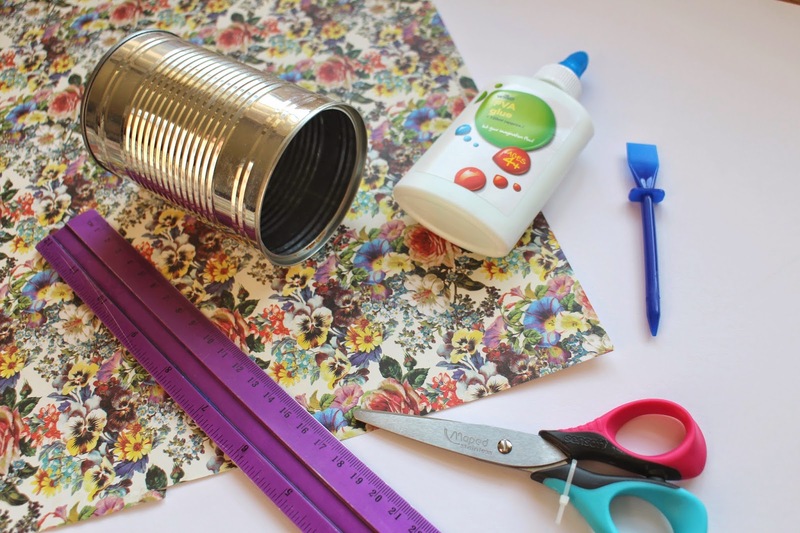 Cover the tin or paper with PVA glue. Wrap around the tin, being careful not to the air bubbles and creases. 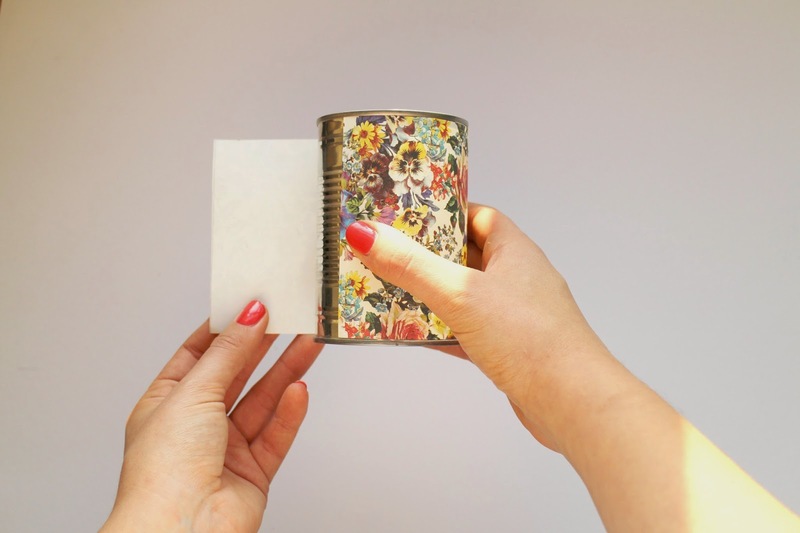 Seal the paper in place by coating the whole tin with a layer of PVA glue. Leave to dry. Once dry, your pots are ready for all your desk bits and bobs! 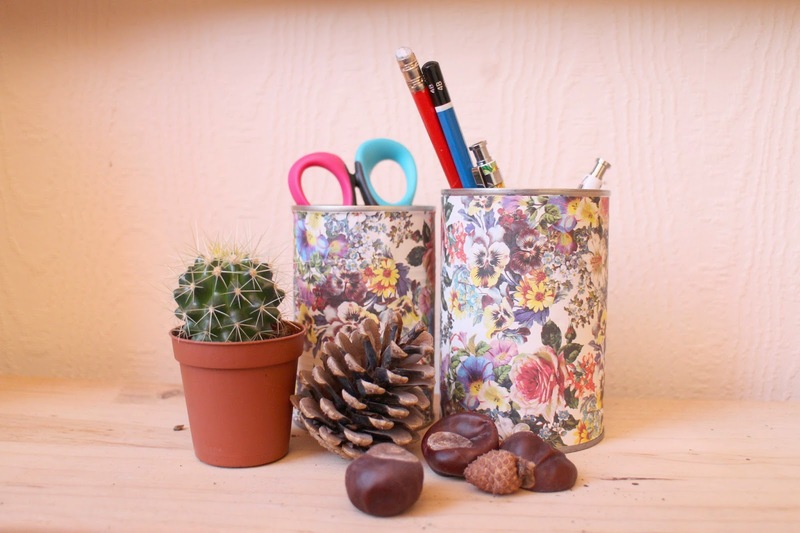 No more rummaging around for your most loved stationary. 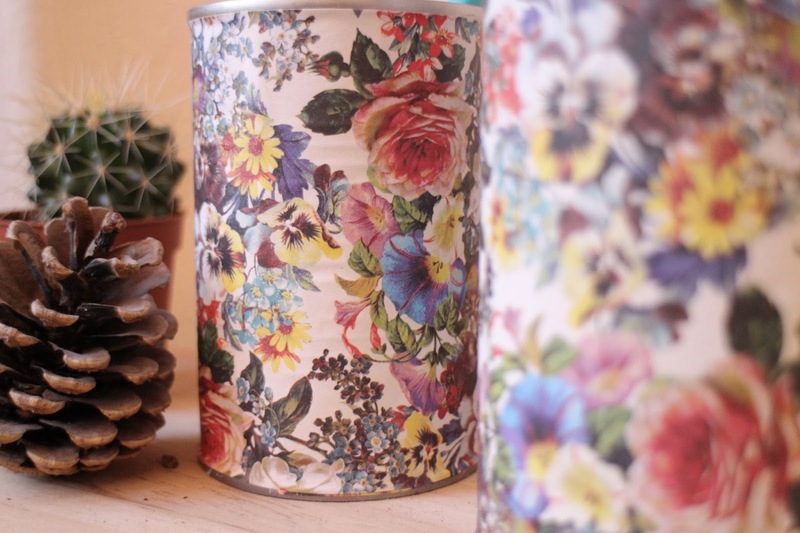 We’ve loved putting some fun and floral into our working space, let us know if you give this D.I.Y. a go too! 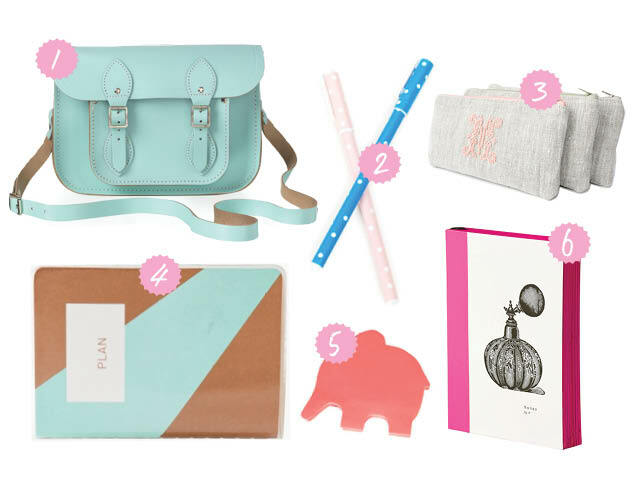 The start of September always gives us that lovely back to school feeling. Who can forget that first day with a brand new pencil case, new shoes and new coat – with name tags firmly sewn in by mum, of course! 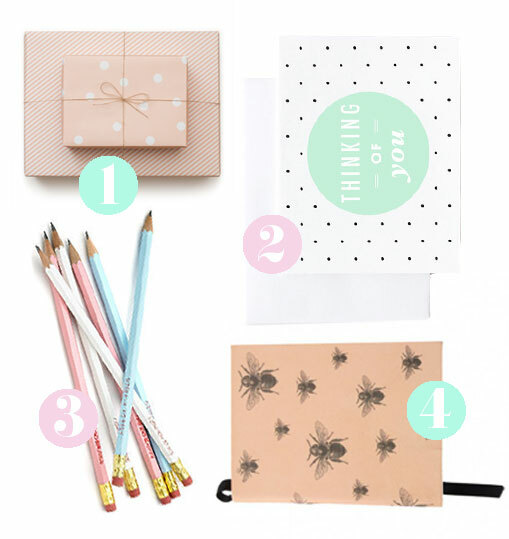 Even though we’ve moved on (a little), we still love to surround ourselves with some new stationery to start off the new term in style…. 2. SCREEN PRINTED THANK YOU CARD – The Paper Cub Co.